Most people who will bother to read this already know about the "magic" of reinforcement in dog training. It's a big deal, a hot topic, a buzzword. For good reason, it should be. I try to instill in my clients, whether they are visiting me for basic manners, behavioral challenges, or sport work, that nothing trumps high value, well-timed reinforcement. Nothing. But, of course, there are rules. Many, honestly, but here are some of the more imperative rules that will immediately impact your training. you should reward your dog MORE OFTEN. Period. More frequently, more times per correct behavior. People are always amazed how quickly I can get a dog to engage with me, or do X behavior. I am not sure I am all that "talented" frankly, its more that I know how to be generous at the right time. that said, reinforcement is NOT just throwing food mindlessly, or offering treats incessantly, or letting the dog grab the toy and take off while you chase them around the yard. All of that DEVALUES the reinforcement process. I have met many a R+ trainer who is madly clicking and throwing food, to a completely unengaged, uninterested dog. When asked what they just clicked and rewarded, usually the answer is not concise, and the dog's behavior is evidence of that. Know exactly WHAT you are marking and rewarding and focus on a SPECIFIC behavior, or set of behaviors. 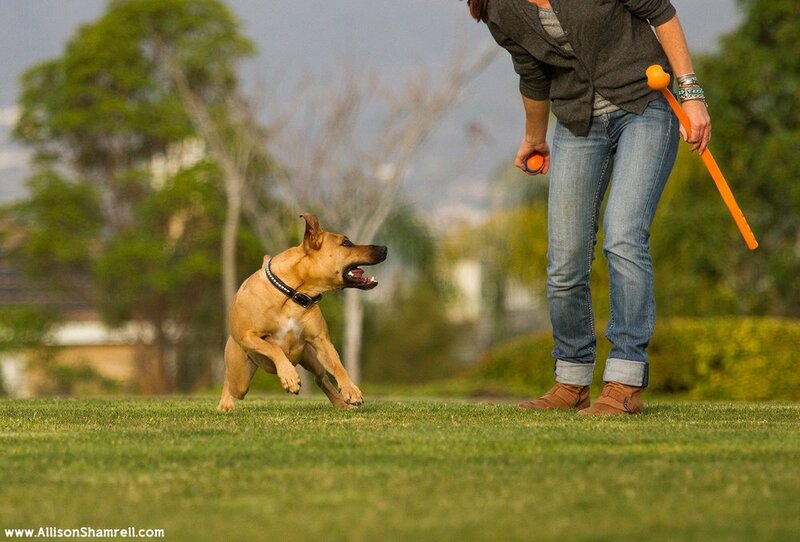 Make the rewards retain their value by making it clear to the dog what the Cue-Behavior-Reward sequence is. the dog defines what is reinforcing. Not you. I see this ALL the time, in both pet AND sport teams. Dog doesn't want to tug with you or chase a ball? Stop beating your (and their) head against the wall and get out the cookies. Dog not performing enthusiastically for those Zukes or Dry Crunchy Things(TM) you bought at Petco? For the love, stop being stingy and get out some freaking hotdogs or chicken. Figure out what your dog REALLY wants. Really, its worth it. you need to build up reward SYSTEMS. For most pet owners, just teaching the dog that "mark/click-cookie is coming" is good. For those that want to train more advanced concepts like tricks or sport work, there need to be a LOT more tools in your reward tool box than "food always comes from the hand or out of a bowl". Building up those reward systems in the dog's foundation will go a LONG way in speeding along actual skills-learning down the road. The more methods you have in "treating" your dog--food, toys, personal play, other--the more motivated and willing a work partner you will have, and you will be able to train a VAST variety of behaviors. One dimensional reward systems are limiting to what teams can learn. reward in position! WHERE you deliver the food makes all the difference in the world. When training stays, we should get the food quickly into the dogs mouth or between their front paws so they do not have any reason to move. Conversely, use your food to get the dog up and released! Hannah Brannigan talks about "behavior loops," and those "release cookies" are just as important to get right as the "in position" cookies as a means of resetting the dog and getting them to start the loop again on their own. Its a fascinating concept, I encourage you to check out her podcast if you want to geek out further about any of these ideas. Dogs that receive generous amounts of concise reinforcement are eager and willing learners, and build great relationships with their people. By bucking the notion that "he's only doing it because I have food" and learning how reinforcement actually WORKS, you can create amazing behavior change, and teach complex skills, QUICKLY. It's so freaking cool! Happy to answer any questions or discuss anything on this front you might have.